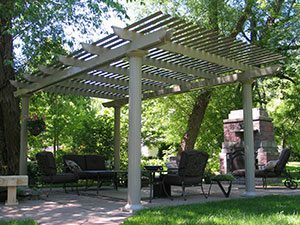 A pergola can serve as both a functional object meant to provide partial shade for outdoor living spaces and an aesthetic addition that can give a home a touch of Mediterranean-inspired style. 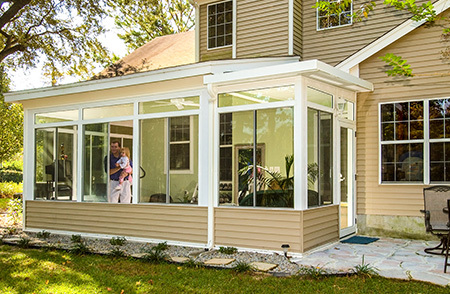 Homeowners who would like to add such structures to their residences in Bear, Middletown, and other areas of Delaware, can turn to SRA Home Products for the installation of exceptionally beautiful and resilient pergolas. As a local dealer and installer of a range of outdoor living products, we have been trusted by area residents since we first started improving homes in 1988, even earning and maintaining an A+ rating from the Better Business Bureau along the way. Unmatched durability – Because they are made of heavy-duty, extruded aluminum, our pergola structures won’t rust like other metal additions, nor will they deteriorate, warp, rot, or crack like wood products. Customizability – Homeowners have the opportunity to choose from different sizes, several column styles, and the universally flattering colors of white and sandstone to create the combination that best suits their homes. Sleek appearance – Our pergola products are manufactured with a secure, snap-fit design that requires no use of unsightly screws to install. Peace of mind – All TEMO pergola products have a lifetime transferable warranty from the manufacturer, so homeowners can rest easy knowing that their investment in their home is well-protected. 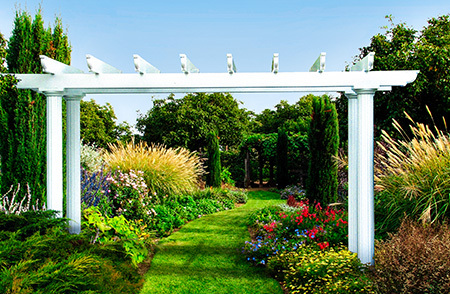 If you’re considering adding a pergola to your home in Bear, Middletown, or any of the other DE communities that we serve, contact SRA Home Products today. We will be happy to answer your questions, tell you about our convenient financing options, and schedule a free in-home consultation.